On this page you will find links to translations of various verses (and whole chapters!) of the Hebrew Bible that I find interesting theologically and linguistically. However, I am especially fascinated by the differences in world-views between contemporary Western cultures and those of the Ancient Near East (ANE) as seen through the Bible. The difference in world-views between we moderns and the ANE Hebrews is important, I think, for two reasons: First, the three most important factors in producing a meaningful translation is (1) context, (2) context, and most importantly, (3) context. Grammar and vocabulary are a necessary but insufficient condition in developing a meaningful translation. Context is king and in this part of the website I try to present translations and commentary that illustrate the use of context in arriving at the meaning the author intended to convey. Second, while the Bible was written for all persons of all races and cultures for all time, it was also written to a specific people – the ancient Hebrews of the ANE. To the extent that we moderns fail to read the Bible through the lens of its original language and cultural idiom we risk misunderstanding its great and enduring truths. Does this mean we should only read the Bible in a biblical Language? No. But it does mean that we ought to be aware that the words of English, a very rich and vibrant language, do not easily map into biblical Hebrew. 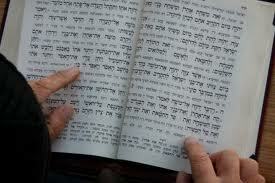 First, biblical Hebrew is an ancient language with a remarkably small vocabulary. The mapping between words is often ambiguous since a given English word has a much narrower semantic range than its corresponding Hebrew word. Second, because it’s a primitive language, it is much more concrete than English (or Greek). The authors of the Bible were limited to concrete terms and phrases when expressing abstract thoughts.